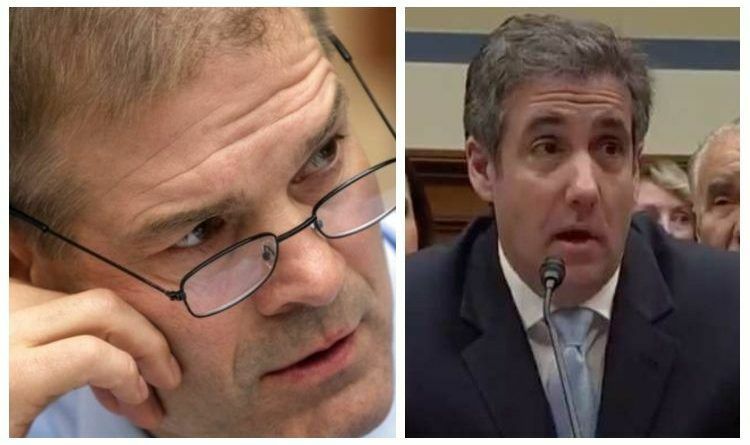 Rep. Jim Jordan (R-Ohio) tore into President Donald Trump’s former attorney, Michael Cohen, during the open hearing Wednesday. The explosive exchange between Jordan and the former Republican National Committee deputy finance director started following House Oversight Committee Chairman Rep. Elijah Cummings’ (D-Md.) questioning of Cohen, who began his testimony against the president to the committee Wednesday morning. Jim Jordan highlights tax fraud Cohen committed in recent years, and asks him if he did it to protect Trump. Cohen says he did not. Facebook is cracking down on Conservative content. Many of you have complained that you never see our content in your newsfeeds.When you share with your friends, however, you greatly help distribute our content. Please take a moment and consider sharing this article with your friends and family and on your Facebook wall or other social networks that you use! Thank you. ← Democrats Push Infanticide, Abortions Up to Birth But New Pool Reveals Whether Americans Are Pro-Life or Pro-Abortion, This Is A New Record!